Options to tilt left and right. 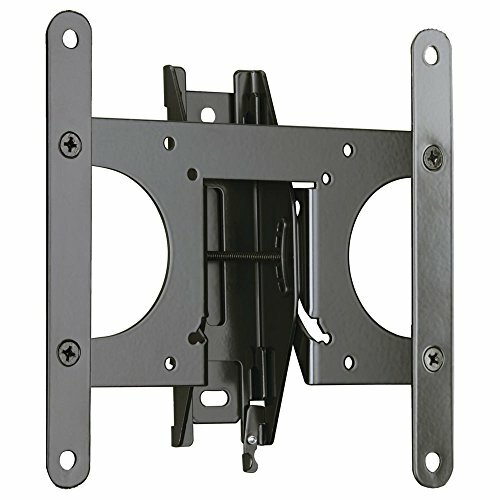 With the Sanus VST4-B1 Premium Series Tilt Mount you’ll be able to find a quick and easy way to mount your TV. It covers a small range of TVs which happens to just be perfect for kitchens, bathrooms and small bedrooms. Below is some more technical details if you’re curious about what sizes it’ll fit and what VESA patterns it”ll cover. To make things as easy as possible you are going to need some tools. Below are the needed tools to properly set the wall mount up. Most tools are provided inside the package the wall mount comes in, but if not I made a simple chart to find what you will need to make the install go smoothly. A very basic wall mount with some versatility for a very low price. It doesn't do much, but what i can do, it does perfectly. Good stuff here from a basic wall mount.